A portrait of a seated couple in European dress with two large puppies at their feet. Morton, Chris. 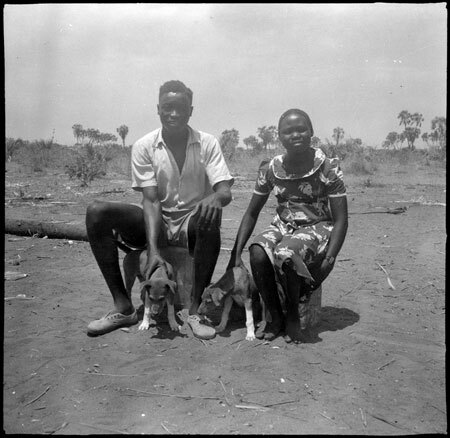 "Portrait of Mandari couple with dogs" Southern Sudan Project (in development). 03 Jan. 2006. Pitt Rivers Museum. <http://southernsudan.prm.ox.ac.uk/details/1998.97.212/>.